The underwater world is a fascinating place, alive with thousands of sea creatures and plant life, both weird and wonderful. In Tynemouth, we’re blessed with the best of both worlds: historical landmarks and the North Sea coastline. Have you ever stopped to think just how vast the ocean is, though? Water takes up a massive 71% of the Earth’s surface! So it’s no wonder the ocean is brimming with life. Unfortunately, the effects of pollution, waste and climate change are all having an impact on the world’s oceans, causing many species to become ill or endangered. Just a few of the fascinating – but sadly endangered – creatures swimming in the North Sea include the basking shark, thorny skate, common skate, Atlantic cod, and haddock. 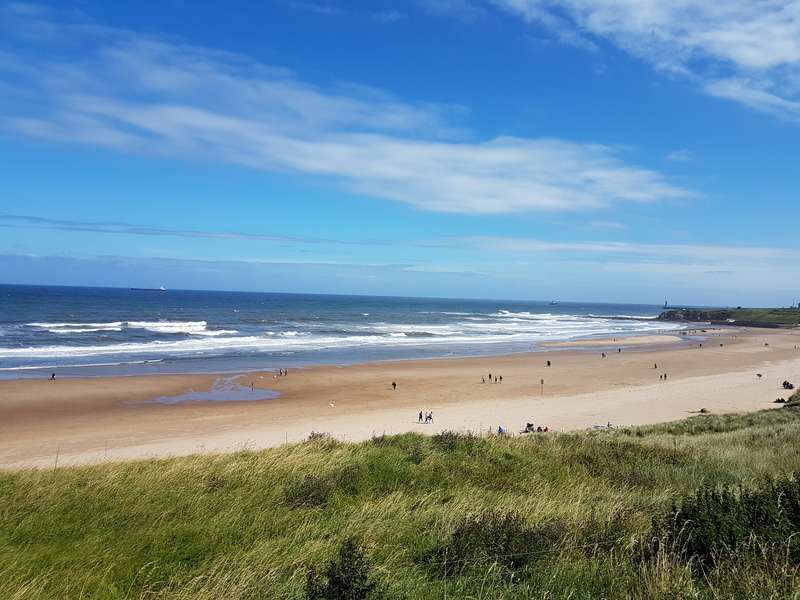 On the plus side, there are plenty of easy ways that you can help conserve the oceans, both along Tynemouth’s shorelines and on a more global scale. Did you know that some of the fish you eat might not be classified as sustainable seafood? Overfishing, heightened demand, and the loss of habitat for some fish species is having an environmental impact. It’s never been easier to buy fish responsibly, though. Look out for the MSC certification on packaging, as well as additional eco-labels. You can also refer to the Marine Conservation Society’s handy Good Fish Guide, which contains all of the information you need about the fish you can eat, and which ones you should avoid, to help do your bit for the oceans. As a coastal town, Tynemouth has many fishmongers who sell only locally caught fish and seafood, so you can be even more environmentally conscious in supporting the local community. Litter is one of the biggest causes of ocean pollution. An environmental report in 2015 found that there were 5.25 trillion pieces of plastic debris in the ocean – and this number keeps rising each year. Although that figure seems very daunting, you can still help by heading to your local beach for a beach clean! Join up with an event, such as those organised by the MSC and Surfers Against Sewage (SWS), create your own event, or just do it for fun with your family and friends. Make your beach clean into a bit of a treasure hunt – what’s the weirdest or most wonderful piece of litter you find? You can also join us on Monday 28th June to help clean up Longsands as part of our ConservOcean Weekend! Plastic comes in so many different forms, whether it’s the packaging around your food or accessories, the personal hygiene products you use, or the bottles you drink from. As such, it’s pretty hard to escape plastic in everyday life. But, plastic can take up to 450 years to degrade properly, meaning that the ocean will be swimming in plastic for many years to come if we don’t all help. You don’t have to try and eliminate plastic from your life completely in order to have a positive impact on the environment. There are loads of little things you can do to switch up your daily routine and cut out unnecessary plastics. At Blue Reef Aquarium Tynemouth, we’ve been working closely with the local North East animal charity, Pawz For Thought, for more than 10 years. Our Marine Rescue Centre offers a safe place for sick, injured or abandoned seal pups and other marine life. You can get more involved in your area’s conservation efforts by supporting local marine charities, such as Pawz For Thought, no matter how big or small your gesture. For example, you could volunteer to help out, sign conservation surveys, send out promotional fliers to raise awareness, or simply donate money. Or, join the forces of some of the biggest nationwide or global marine and environmental charities. Being more environmentally conscious all starts with understanding the world around us. That’s why aquariums are great learning experiences for all ages – you can find out more about the life under the oceans, and help support conservation breeding projects and rehabilitation. At Blue Reef Aquarium Tynemouth, we are part of many successful seahorse-breeding projects, as well as working behind the scenes at our Marine Rescue Centre with seals and other sea creatures. You can also take a stroll along your local beach and explore the rockpools – which creatures and marine plants can you see? Remember to be careful not to disturb any of them though! Want to learn more? Come and visit our amazing creatures at the aquarium! Book your tickets online for special discounts throughout the year. Our team of aquarists is always here to answer your questions about the ocean and to offer extra tips on how to help conserve the natural world.